Chamling also pledged his commitment to fulfil the demand for income tax exemption demand for the old settlers of Sikkim and also spoke on the various new schemes. Sikkim Democratic Front (SDF) president and Chief Minister Pawan Kumar Chamling on Monday urged the electorate to repose their faith in him to usher in development in the state. Chamling, who is seeking a sixth consecutive term as chief minister, said if his party is elected to power, he will empower the urban local bodies to serve the people in a better way. “The urban local bodies will be given more power to administer the people in a smooth and transparent manner with a human touch,” he said while campaigning for SDF candidates in the state capital and adjoining areas. Chamling also pledged his commitment to fulfil the demand for income tax exemption demand for the old settlers of Sikkim and also spoke on the various new schemes like free medical and free education to the kin of the business community in the state. The Chief Minister said that Sikkim was a truly secular state in which people of all communities live in peace and harmony. 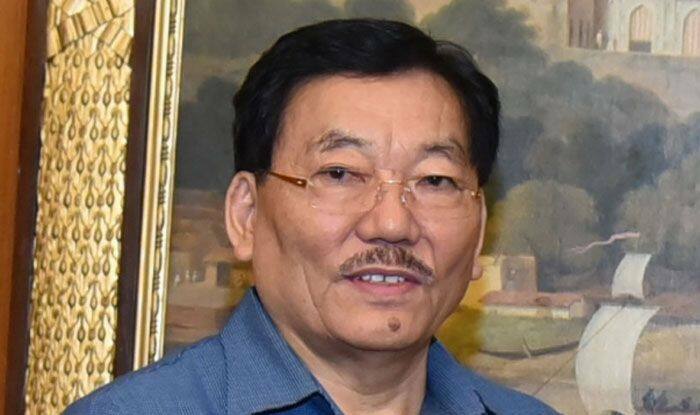 “It has been my government’s endeavour to provide safety and security to the people and ensure that all people living in Sikkim enjoy their fundamental rights and freedom,” Chamling said. Chamling, who is the founding president of the Sikkim Democratic Front (SDF) will wind up his two-week long campaigning Tuesday at a public meeting at Joretrhang in South Sikkim, the bastion of his party. Sikkim goes to polls for 32 Assembly seats as well as the lone Lok Sabha seat on April 11.